Walter Smith’s side again put in a huge amount of effort on this trip to Leith but could not find a way past keeper Andrew McNeil despite a second-half onslaught. With three games still in hand, Rangers can still edge their way above their great rivals but must remain unbeaten from now until the end of the campaign presuming Gordon Strachan’s men can win their last two games to Hibs at Parkhead and Dundee United at Tannadice. Having played 120 minutes in Florence on Thursday night this was never going to be an easy hurdle to overcome for the club’s UEFA Cup heroes and this proved to be the case against Mixu Paatelainen’s stubborn outfit. Nacho Novo earned a place in the starting eleven after his penalty heroics in the Stadio Artemio Franchi. 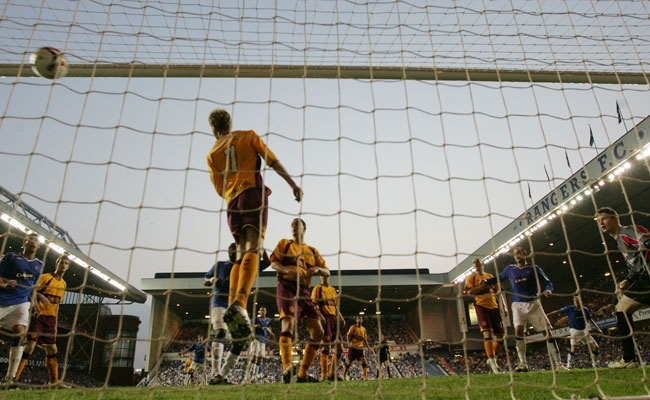 The Spaniard, whose spot kick sealed Rangers’ place in the UEFA Cup final, started beside Daniel Cousin as Walter Smith made three changes to the team that faced Fiorentina on Thursday night. Brahim Hemdani and Jean-Claude Darcheville dropped out of the side with Steven Whittaker serving a suspension. Rangers enjoyed the majority of possession in the opening stages but after only two minutes the home fans were riled when Dean Shiels darted through on goal but was ruled offside by the nearside linesman. It looked to be a close call but the decision was to ignite a fixture which is always highly charged at the best of times. It was clear that Walter Smith’s intentions were for Novo to stay in the last third as much as possible although he also dropped back to help Sasa Papac on the left-flank on many occasion. The Spaniard, however, had a penalty appeal waved away by the official on 16 minutes when he skinned right-back Kevin McCann to make his way into the 18-yard box. The defender did well to recover and got plenty of the ball with his last-ditch tackle which also left Nacho sprawled on the turf.. 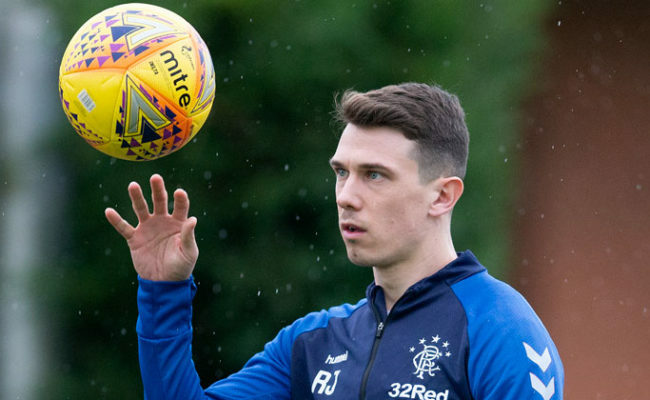 In the opening half-hour it was a typical performance from Rangers with the defence remaining watertight and the midfield being patient in their bid to select the correct pass. It is what we have come to expect but their were a few hairy moments for the visiting support to endure. On 33 minutes a dangerous cross from Filipe Morais was misjudged by Neil Alexander but fortunately there were no Hibs’ players on hand to make the most of the situation. At the other end Rangers had there best chance of the game on 36 minutes when a corner was partially cleared but Thomson kept the pressure on by feeding a neat pass to Steven Davis who was unmarked on the right wing. The Northern Ireland star played a delightful first-time cross into the box and Carlos Cuellar’s header looked to be sneaking in before Andrew McNeil dived to his left to palm the ball around the post. Rangers were searching desperately for an opening goal before the half-time interval and most of their promising attacks were coming from the right wing. On 36 minutes Davis played a delightful pass to Broadfoot who had sprinted around the blind side of his marker and his low cutback found Novo who saw his goalbound drive blocked by Easter Road skipper Rob Jones. From the resulting corner Davis crossed and Cousin could not connect despite being unmarked. 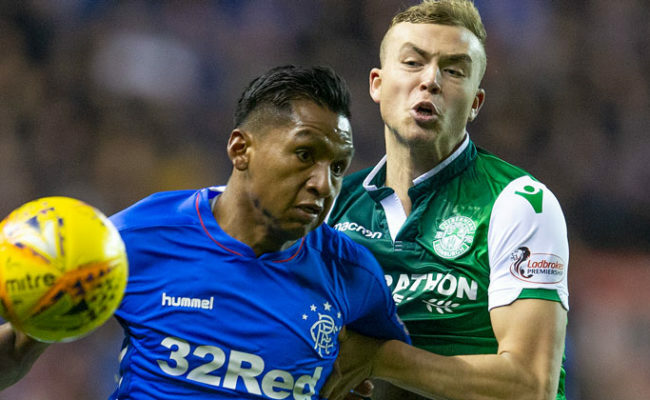 The scoreline was to stay goalless at the interval although Rangers were to suffer a late blow when Carlos Cuellar picked up a booking for a challenge on Fletcher which will keep him out of the club’s forthcoming SPL clash against St. Mirren at Love Street on May 19. Rangers stepped up the pace at the start of the second period with Davis and Cousin both trying their luck from long-range and Novo continuing to terrorise right-back McCann at every given opportunity. On 52 minutes it was Sasa Papac that marauded down the left wing and when McCann hauled down the Bosnian Kevin Thomson’s whipped in a terrific cross. Cueller nodded the ball back across goal and but the linesman had already raised his flag before Cousin headed into the empty net from only two yards. The pressure was now relentless and Barry Ferguson was guilty of missing a great chance when a Hibs clearance bounced back into the danger area and his near post shot from ten yards was tipped around the post by McNeil. Having survived several early scares Hibs then gave the Gers backline a fright when Morais tried his luck from 25 yards and Alexander had to be alive to make a fingertip save over the bar. It was now end-to-end stuff with the second-half proving far more entertaining than the opening 45 minutes. All that was needed was a goal. Shots continued to rain in with Fletcher and even Papac firing in efforts from distance but nothing was to beat Alexander or his opposite number McNeil. In a last desperate bid Walter Smith threw on prolific hitman Kris Boyd in place of sasa Papac on 77 minutes. And 60 seconds later Gers were awarded a free-kick 20yards out when Ian Murray fouled Cousin. Boyd fancied it but Thomson fired a left foot drive which went inches wide of the target in front of the packed Rangers end of the ground. With only minutes remaining Cuellar had a great chance to secure all three points when McNeil came to meet a low cross with his fist but the Spaniard got their first and headed over with the goal gaping. When this happened you had a feeling it was not going to be Rangers day but the title still remains in their own hands.